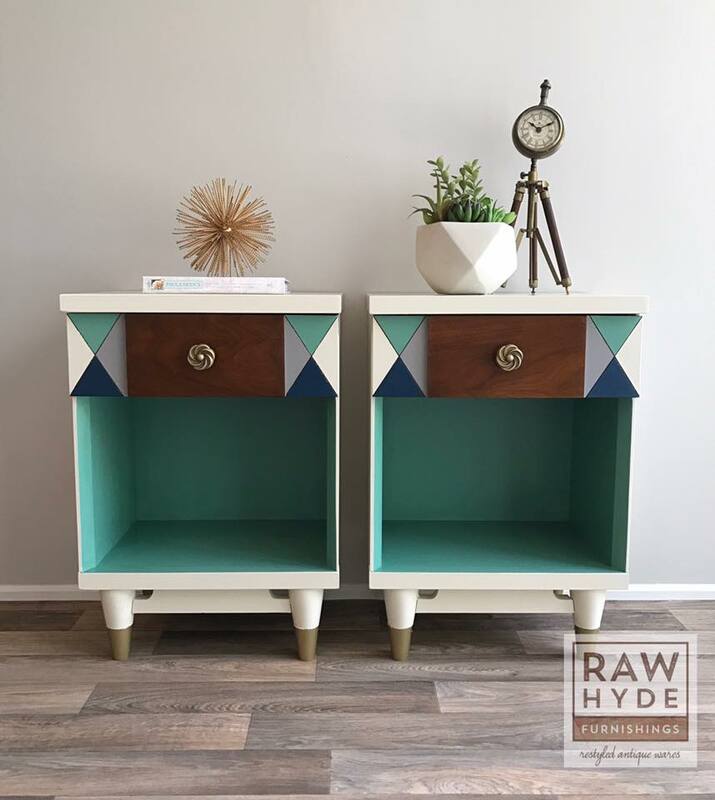 Loving these Mid-Century Modern nightstands by RAWHyde Furnishings! The bases were painted with General Finishes Antique White Milk Paint while the pops of color are Heirloom Traditions Paint Privilege and Naval and Annie Sloan French Linen. You could also match these colors by using GF Key West Blue Chalk Style Paint, Coastal Blue Milk Paint, and Driftwood Milk Paint.